In a Nutshell: Group travel is popular among schools, faith-based organizations, businesses, and families. But planning out the details of a group trip so everything goes smoothly is easier said than done. The trip organizer must, among other things, promote the getaway, maintain a list of who’s traveling, send payment reminders, and collect payments — all within a prescribed travel deadline. WeTravel developed its group travel platform and booking engine with the sole purpose of solving those issues. In less than 15 minutes, travel organizers can create a trip page and begin accepting payments through ACH, or credit card. Over the last two years, WeTravel has expanded from its original target audience of colleges to include wellness travelers and small tour operators via its WeTravel Business arm. More than 1,200 SMBs currently use WeTravel to book trips without the hassles often associated with group travel. If you ask elementary school teachers what part of their job they dislike the most, you’re likely to get a wide range of answers. But among the complaints about standardized testing, low wages, and long work hours will almost certainly be field trips. The actual trip is the easiest part of the field trip process. The weeks leading up to the big day include sending regular reminder notes home to parents who have yet to pay the trip dues. Teachers must also collect the money sent in and hold it until the day of the trip. And don’t forget the ever-evolving checklist of children who have and have not paid. And those trips are typically for 20 or fewer students. Before WeTravel, the process was substantially more difficult for college trips that included dozens, if not hundreds, of student attendees. In just two years, WeTravel has transformed how travel operators organize, promote, and collect payments for group getaways. In less than 15 minutes, travel organizers can create an attractive trip booking page and itinerary that is instantly bookable. The WeTravel platform allows the trip organizer to collect payments and manage bookings from a single interface. Since its launch in late 2016, the program has become so popular that the top 20 US colleges and universities — including Harvard, Yale, Stanford, UCLA, and UC Berkeley — use WeTravel to coordinate and promote group trips. Prabowo said schools, churches, nonprofits, businesses, and wellness teachers are among the most common WeTravel users who promote and organize trips to destinations all over the world. The popularity of wellness trips prompted WeTravel to expand to another market in 2017. By doing this, businesses can use WeTravel as the booking engine to process payments and organize participants all from within a unique landing page on their websites. More than 1,200 small tour operators currently use the WeTravel Business platform. In March 2018, WeTravel went global by opening a satellite office in Amsterdam for European travel companies. Building a completely functioning and bookable trip page can take less time — from start to finish — than most people spend in line for their morning coffee. Users can create an initial WeTravel account using their Facebook credentials or start from scratch using an email address. 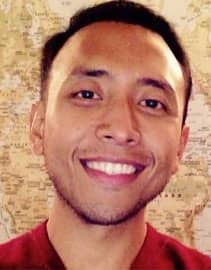 Zaky Prabowo is Co-founder at WeTravel. The first step in creating a trip page is providing a description of the trip — including a trip name, date, photos, and minimum/maximum group size. As soon as a trip reaches its maximum number of travelers, the page will tell users the trip is sold out, though organizers can modify the minimum or the maximum number of travelers at any time in the promotional process. Next, organizers can add an optional trip itinerary to give interested travelers a better idea of the plans for the getaway. The drag-and-drop interface lets trip administrators add pictures, text, or other important information to the trip page. The final, and possibly most important, step deals with the pricing models. Organizers can create an unlimited number of pricing tiers or packages and accept payment plans with up to six installments. The WeTravel system automatically adjusts to payment plans and sends payment reminder emails to the traveler. WeTravel charges a flat 1% fee on all travel booked through its platform when travelers use an ACH payment. Travelers can pay via credit card for a 2.9% processing fee (1.4% for Euro and 1.9% for the British pound) on top of the 1% fee. Trip organizers can choose to absorb the fees upon their payout or pass the charges onto customers, who will see the fees added to their total cost at checkout. “We want to make sure the barrier to use WeTravel is as low as possible because our target market is semi-professionals and small companies,” Prabowo said. Prabowo said some tour operators choose to build the fees into the price of the trip to keep their customers from getting any surprises when it comes time to pay for their fare. “The ability to either pass the fee onto the customer or absorb it themselves is crucial to small tour operators that are working on smaller budgets,” he said. 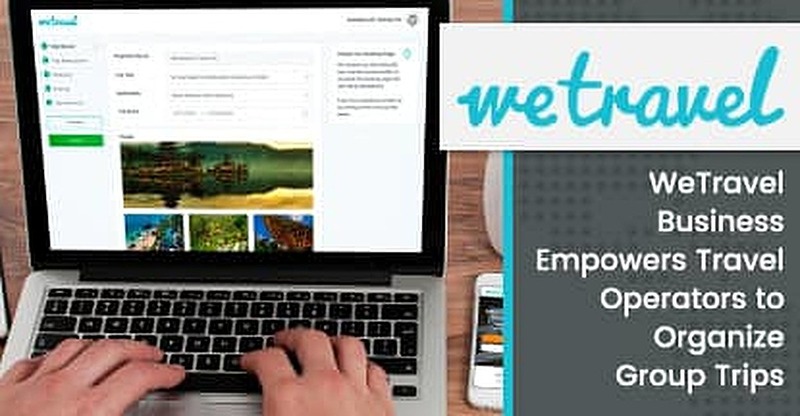 In less than two years, WeTravel has expanded beyond its initial offering of school-related travel to include wellness trips and small tour operators on its platform and booking engine. The company’s new office in Amsterdam opens the company to the European market and adds the flexibility for customers to pay in the Euro and British pound. WeTravel’s rapid expansion is proof the company is meeting an untapped market for booking group travel in an easy way that is both frictionless for the customer and almost entirely hands-off for the trip organizer.